There is an old expression which says: "The most important part of business is...location! location! location!" 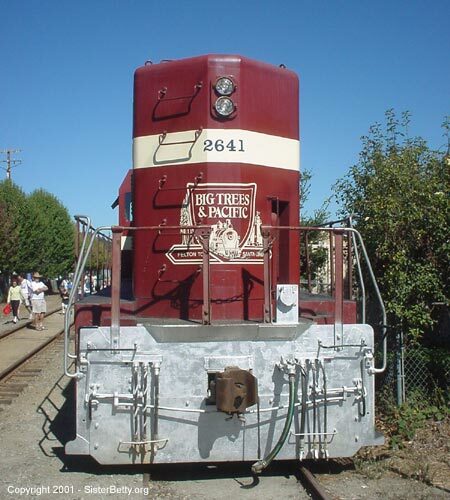 The Santa Cruz, Big Trees & Pacific Railroad has location in abundance. One end of the shortline railroad is located near the Silicon Valley, with its large population, and on the other end is the Santa Cruz Beach Boardwalk. Throw in a few passenger cars and you have the holy grail of short line railroads: a profitable operation. On a bright sunny fall day, Matt (the owner of the '59 Lincoln) and I headed south from San Francisco to ride the Santa Cruz, Big Trees & Pacific.